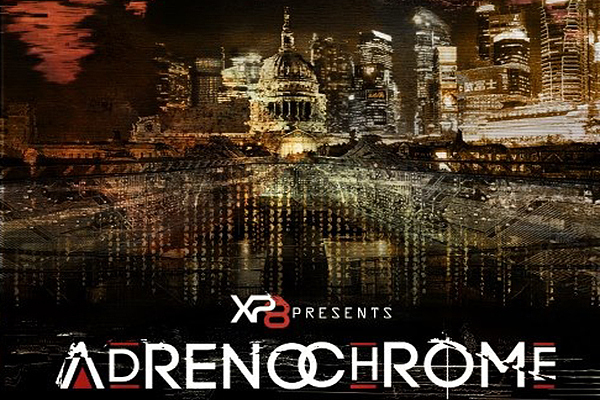 EBM stalwarts XP8 have launched a crowd-funding campaign to realise the release of their forthcoming album 'Adrenochrome'. The project started on the 8th of May and within just eighteen hours, the band's goal of $1,500 had been realised by their rabid fanbase. Due to the nature of crowdfunding, the project will continue for the full term. However the band have offered stretch goals for continued support. For example: if the total reaches $3,000 they will release a 7’’ vinyl for one of the upcoming singles. If they reach $8,000 they will make a brand new music video. 'Andrenochrome' is scheduled to be released digitally on June 1st and will be available on CD, in a deluxe digipack edition, in July. All dates are worldwide.